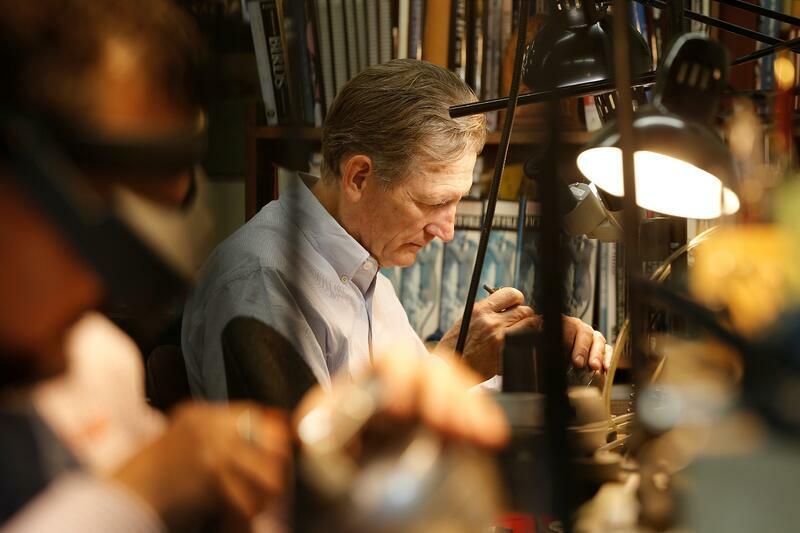 Silversmith and engraver Clint Orms is passionate about the meaning behind his business. 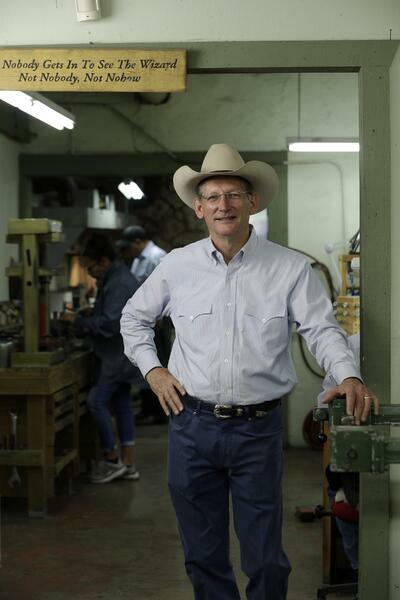 His distinctly Western craftsmanship—inspired by his time growing up around cowboys in Wichita Falls—emphasizes tradition, heritage and quality. All work takes hours to complete, and he never produces more than 10 items from a single design, adding a layer of exclusivity. We recently caught up with Orms to give us a behind-the-scenes look at the day-to-day reality of his life as an artisan and a business owner. 6:30 a.m.: I wake up and do my exercise routine, which is usually a mix of resistance bands or walking. I also take my dog, Dawson, outside. He’s a Boykin Spaniel, which is a breed of hunting dog, so we practice some of his hunting routines. For breakfast, I’ll have a protein shake, or I’ll stop at Mary’s Tacos for a taco to-go. 8 a.m.: I have about an hour drive to my shop, and I don’t usually listen to music. Instead, I use that hour to plan my day in my head, make some notes about upcoming events and just get mentally organized. 9 a.m.: I start the day by checking in with my 10 employees to see if anyone has any special projects we need to talk about. I really love being a service-oriented business and being able to reach more people with our products. After I check in, I sit down at my design table and work for about three hours. Since the table is in the middle of the shop, I’m still accessible. I really try to always be part of the activity at work, instead of being secluded. Noon: Time for lunch. I usually grill something in the barbeque pit out back or I’ll grab something from our neighborhood restaurant, Chi-cho’s Café. My favorite thing to order is the avocado boats. I don’t typically take a full hour for lunch—there usually aren’t enough hours in the day. 12:30 p.m.: After lunch, I’ll check in with everyone again. My employees are usually working on one-of-a-kind pieces that have never been done before. Some of our pieces will have 70 individual pieces attached to them. It’s like building a racecar, figuring out how everything fits together. There’s a lot to creating each piece, and I make sure to be hands-on with every one of them. 1-5 p.m.: I spend the second half of the day at my engraving bench. Engraving is my foundation, and what I first started doing years ago. I’m always working on belt buckles, money clips and cuff links. 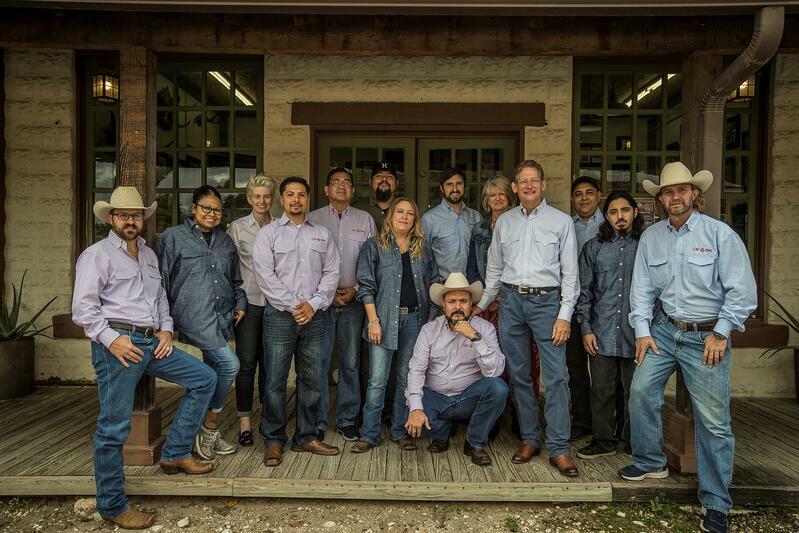 Every part of our business is very creative, but working with each customer is something I really love. Many people already have a vision of what they’re looking for, something they’ve dreamed that they’ve wanted, and I get to help them see it through. 6 p.m.: We usually close the shop anytime between 5 and 8 p.m., depending on the day. On my drive home, I try to get in touch with each of my two kids who are off at school, and I spend some time talking to them on the phone. 7 p.m.: My evenings are spent with my wife. We’ll have dinner and go for a walk together. Sometimes I’ll take Dawson out again or maybe we have something planned with a friend. This is actually our first time in 17 years without kids in the house, so we’re still figuring out our new evening routine. Source Clint Orms at Dallas Market Center at WTC 13325.